Ms. Jasper, as a Certified Physician Assistant, is licensed by the State of Texas through the Texas State Medical Examiner's Office to provide Family Practice Care. Ms. Jasper graduated with high honors at the University of North Dakota in Grand Forks with a Bachelor of Science in Psychology and a minor in Biology. She then did her medical studies at the University of Des Moines, Iowa where she received a Bachelor of Science in Physician Assistant Studies. 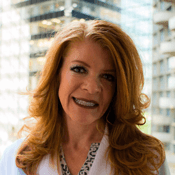 She has been practicing as a Physician Assistant in the state of Texas for 19 years. Ms. Jasper brings to Metroplex Medical Centres a commitment to Wellness and Preventative Medicine as well as Women's Health Issues. She has a special interest in Diabetes, Hypertension, and Cardiovascular Disease. Ms. Jasper has experience precepting medical students and delivering medical lectures on acute and chronic disease management.